That is so nice! 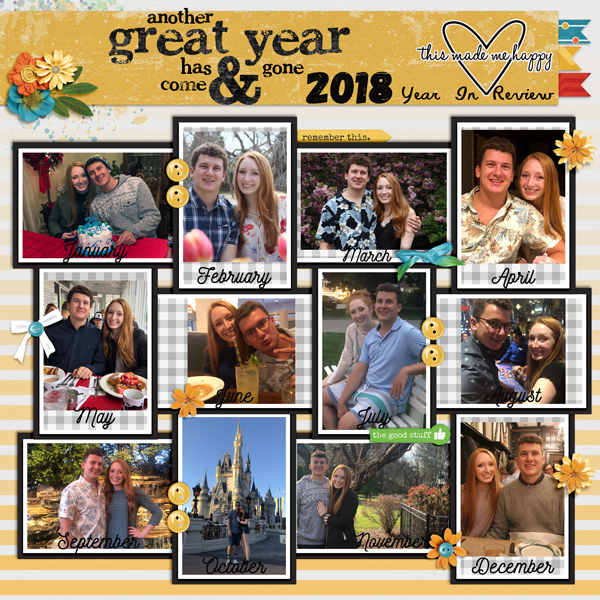 A year in review with a photo of each month with the same people. I like the ellies spread over the page and the title bit at the top. 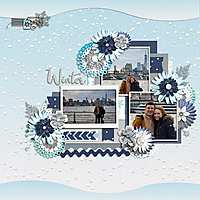 What a great theme- a couple's year in review. I may have to make this a plan for the new year! I really like the consistent use of the crisp white and black edges around each photo. Great layout. I love the gingham matting. Wonderful series of pictures. This is absolutely beautiful. I really like the fact that you used couples pictures for ever month of the year. 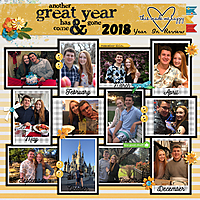 It not only shows significant memories but also love throughout the year.